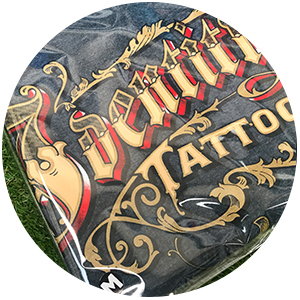 Folding and Bagging | The Flippin Sweet Print Co.
We can provide your t-shirts folded and packaged in a crisp clear polypropylene bag for a professional finish. We finish the folded and bagged garment with a size sticker so they are easily identified. We can fold the t-shirts around a card insert as an extra to ensure the t-shirt folds are crisp and stay rigid. You can provide marketing materials such as flyers or stickers and we can include those before we seal the bags using the adhesive strip. Alternatively if you prefer we can provide them unsealed so that you can add your own marketing materials. If you really want to go the extra mile on packaging, we can screen print the polypropylene bags using a black odor free, water based ink. The printing is charged at our standard screen print prices and it is recommended in quantities of 500+ for best value. You can request our price guide by entering your email below. 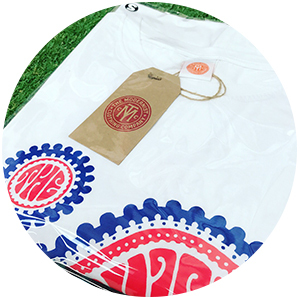 We can screen print opaque polythene mailing bags so you can send out your t-shirt parcels with branded packaging. The mailing bags come in a range of colours and can be screen printed in white or black. The printing is charged at our standard screen print prices and it is recommended in quantities of 500+ for best value. You can request our price guide by entering your email below. LOOKING FOR OUR SCREENPRINT PRICES? Does bagging extend turnaround time? Folding and Bagging can add between 1-2 working days. 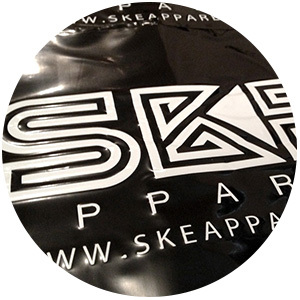 If you’re having screen printed bags the turnaround for those is within our standard 1 – 2 working week. We recommend ordering your printed packaging in bulk and in advanced to avoid extended turnaround times. The size can vary slightly depending on the t-shirt brand and size. As a rule of thumb a folded and bagged t-shirt comes out at around 25cm x 32cm. As per UK and European legislation the polybags do have a minimal suffocation warning label on the reverse printed in black. The label doesn’t take away from the professional crisp appearance.